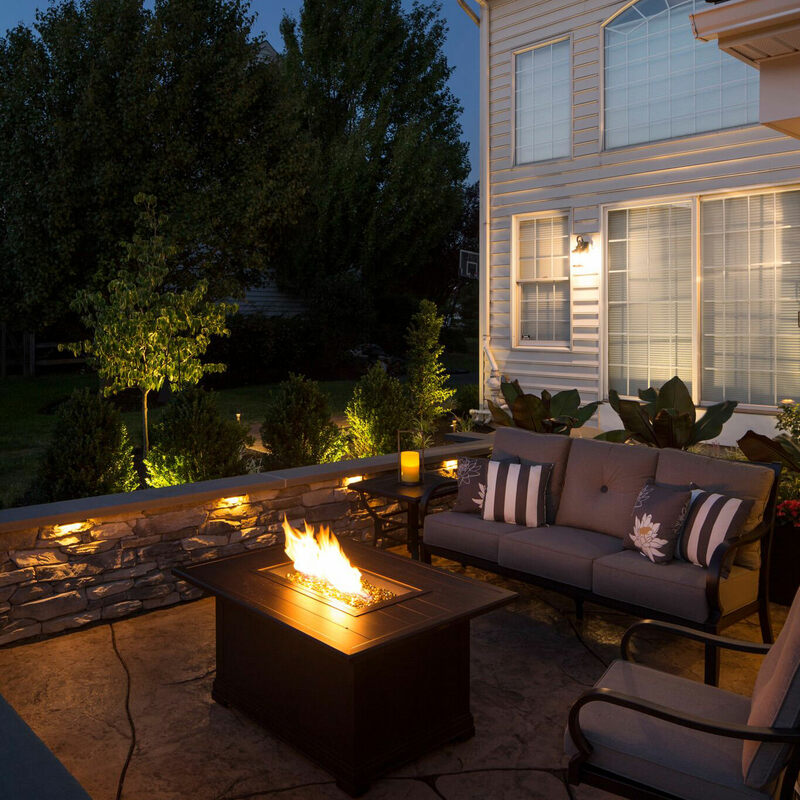 Outdoor Heating Options: Warm up those Autumn Nights! If we have said it once, we will say it a million times, fire pits are the ultimate in outdoor entertainment during the cooler months. Not only do fire pits warm up your guests, they act as the hub for fall-season fun! Fire pits are perfect to gather around to tell stories, enjoy beverages, gaze at the stars, laugh and make memories. Available in portable units, permanent masonry units, wood-fueled, natural gas or propane-fueled, there is a fire pit for all outdoor setups and budgets! 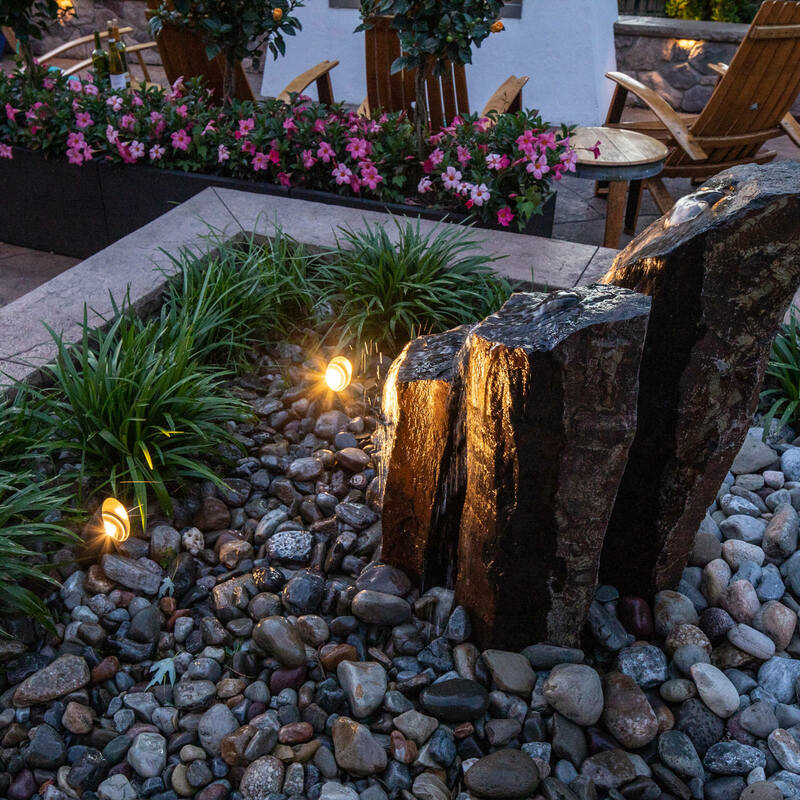 For those focused on the aesthetic of their landscape and see this fire feature being used often, they are best suited to opt for a masonry fire pit. 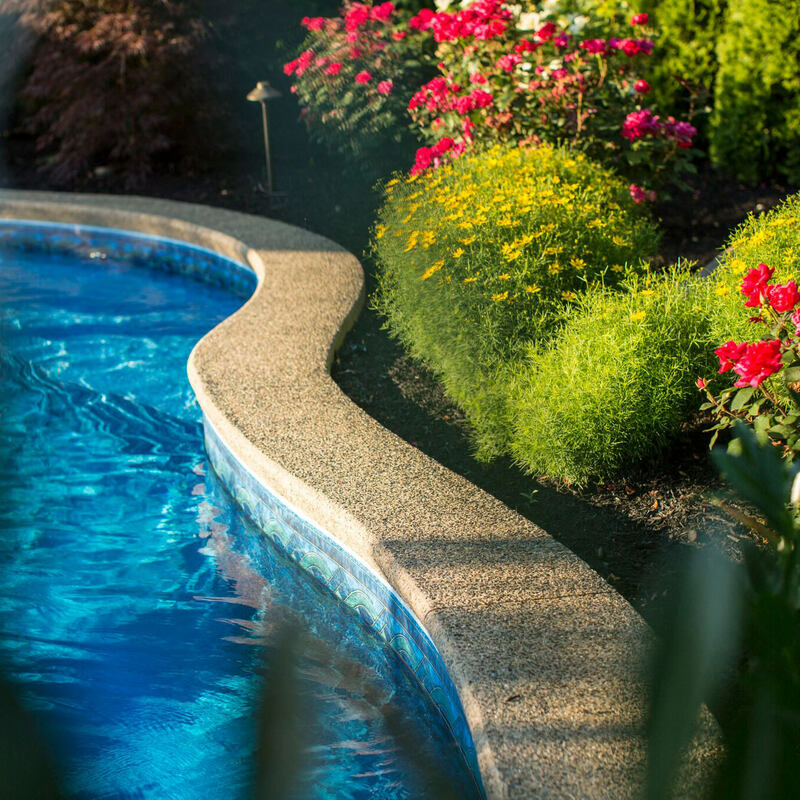 For those who have a more modest outdoor space and may not use this feature as often, a portable unit may be the best fit. So if you are looking for warmth with a social aspect, a fire pit could be the perfect fit for your family. 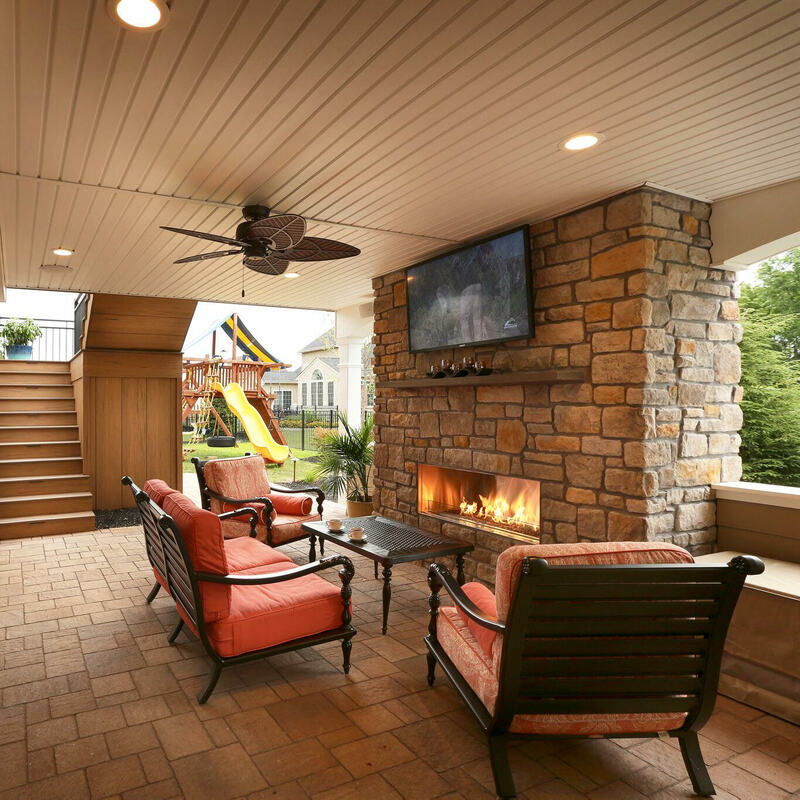 Typically, outdoor fireplaces are built-in features and require more of an investment than masonry fire pits, but they make fantastic year-round additions to a home’s outdoor living space. Fireplaces seem to exude a sense of romanticism within the landscape while acting as the central focal point of the backyard. Being able to provide both a grand statement and a cozy intimacy at the same time shows the true versatility this feature can provide. Whether you desire a wood or gas-fueled fireplace, it is best to consult a professional for design and installation. The contractor installing this feature will need to check with your local municipality, apply for the appropriate permits and schedule the necessary inspections to make sure that the feature is built correctly and can be operated by your family safely. Patio heaters have come a long way in recent years. No longer do they need to be these cumbersome metal statues that are intimidating to look at. While portable stand-up units are still available on the market, their look has been streamlined from the larger and clunkier original versions and are more widespread in residential applications. Patio heaters that are fueled by propane or electricity are available in portable, table top, standup, hanging and ceiling or wall mount units. For those with natural gas on site, you have the more permanent availability of standing, in-ground and hanging models. 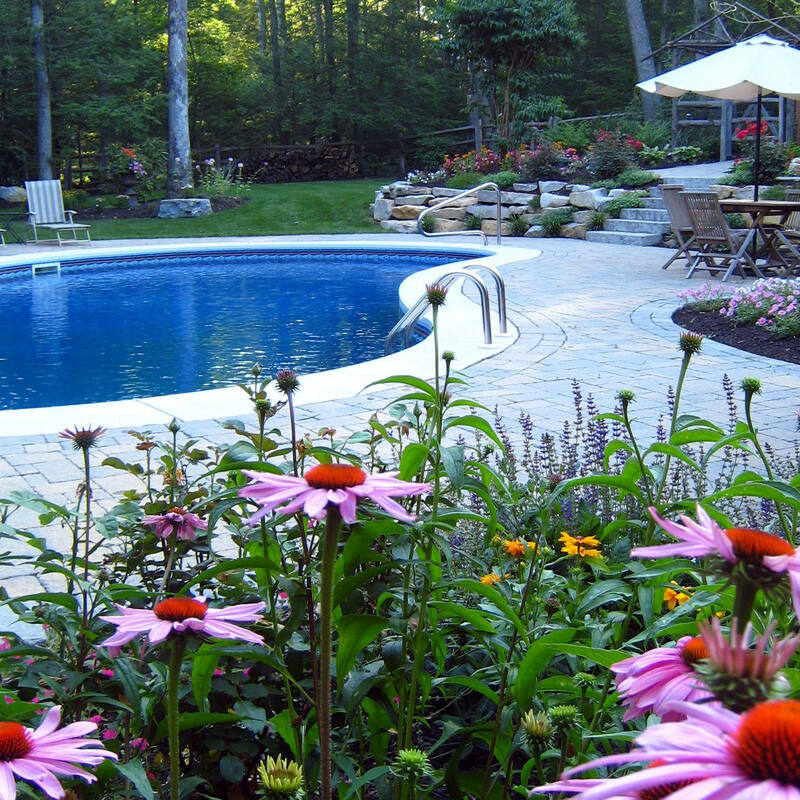 Depending on how warm you want your space to be, it is important to pay attention to the heat output for the features you are researching. 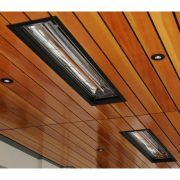 Consult a professional to review your options and for installation. 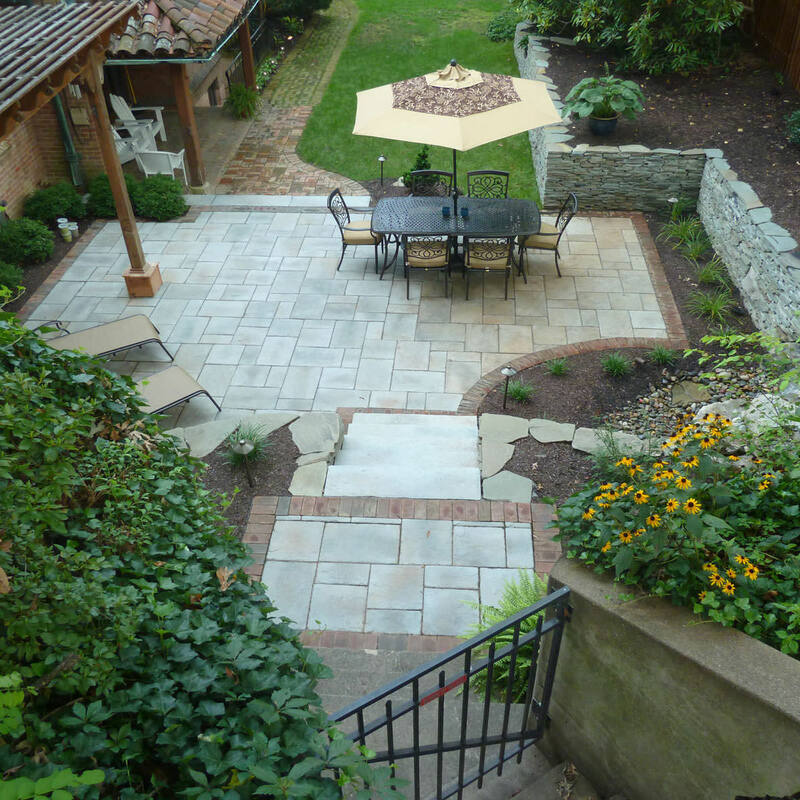 A patio heater may be the out-of-sight option you have been looking for! 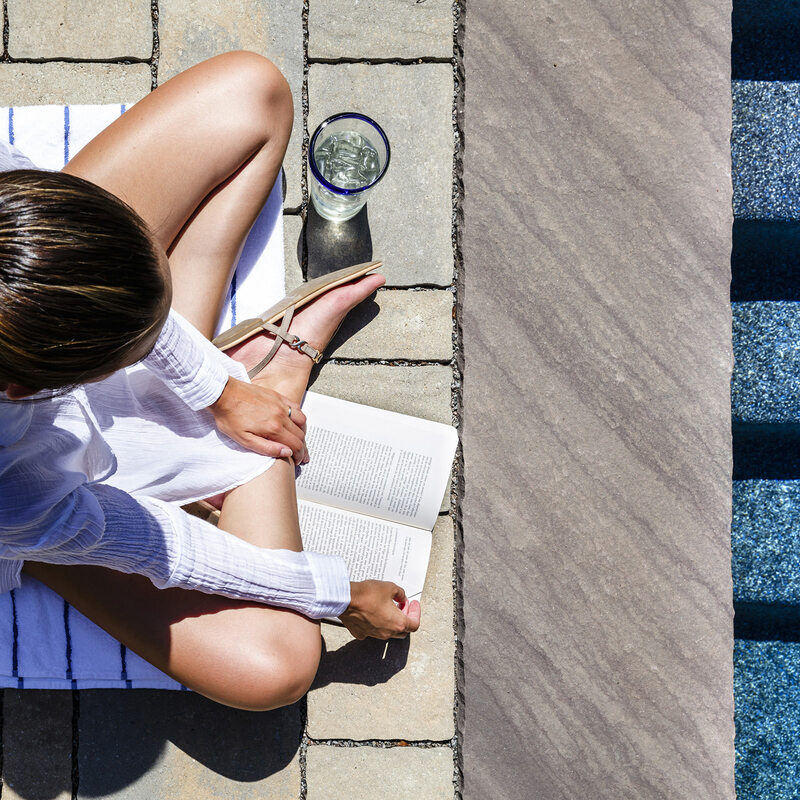 When it comes to supplemental warmth in your outdoor spaces during the cool weather, accessorizing is just as important and can make the difference between freezing and fun. Providing plush cushions for your patio furniture removes the harsh and cold element of the furniture and adds comfort for your company. The same comfort can be provided to your family and friends by providing lush throw blankets to wrap up in while enjoying each other’s company. Small details like accessorizing your outdoor space with outdoor rugs to block the cold from the concrete or air from the under deck space, matched with these other suggestions can make a big difference…throw in some hot chocolate for the kids and a few mugs of home-brew boilo for the adults and you will have yourself a toasty celebration! * Have realistic expectations! All of the aforementioned heating features are meant to take the bite out of the chilly weather, not provide hours of complete heat as if you were sitting indoors. The heating features will not keep you 100% warm for an extended period of time. * Keep in mind that propane-fueled units should not be used in an enclosed space due to the risk of excessive carbon monoxide and the open flame runs the risk of being blown by the wind or being touched by curious little hands. * Electric units obviously come with a power cord, so an outdoor GFCI is needed to run this application. * Be mindful of open flames and nearby combustible materials. When in doubt, space it out. 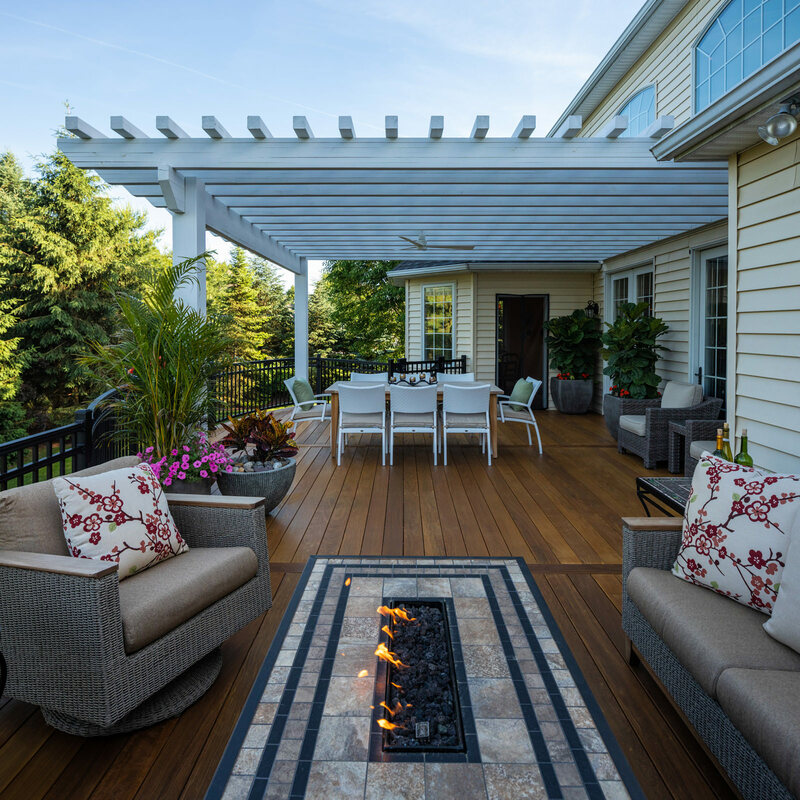 While there are plenty of outdoor heating options on the market, it is best to talk to a professional to find the perfect solution for your space and your family. No two spaces are created equal! 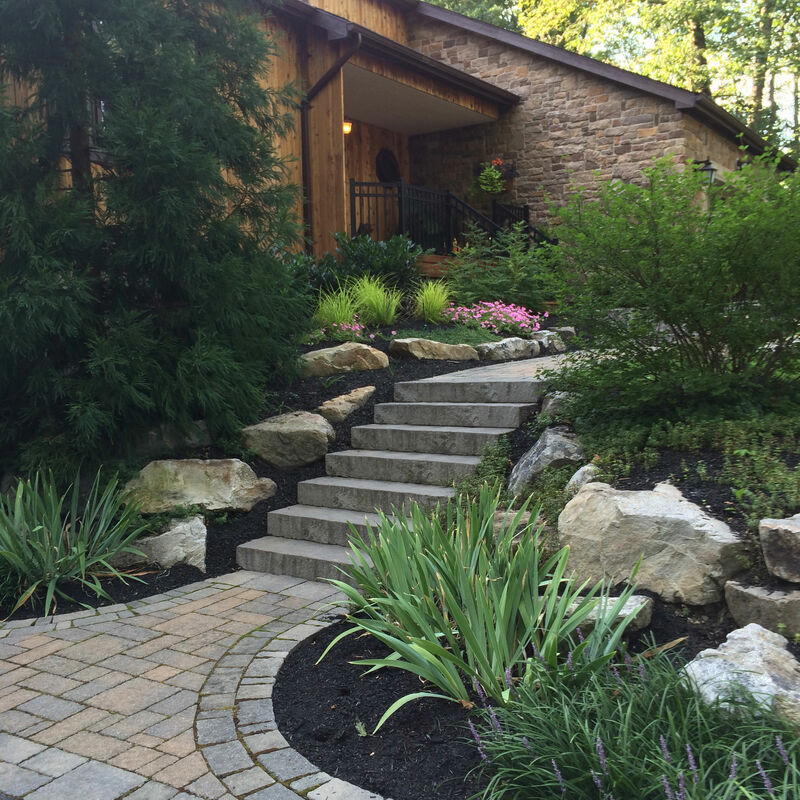 For those living in the Poconos, Lehigh Valley, through the Main Line of Philadelphia and western New Jersey, who are searching for a professional to guide them through their own outdoor living transformation, reach out to us at MasterPLAN Landscape Design! MasterPLAN is ready to partner with you and your family to uncover the full potential for your property, while custom tailoring your space to fit your lifestyle! 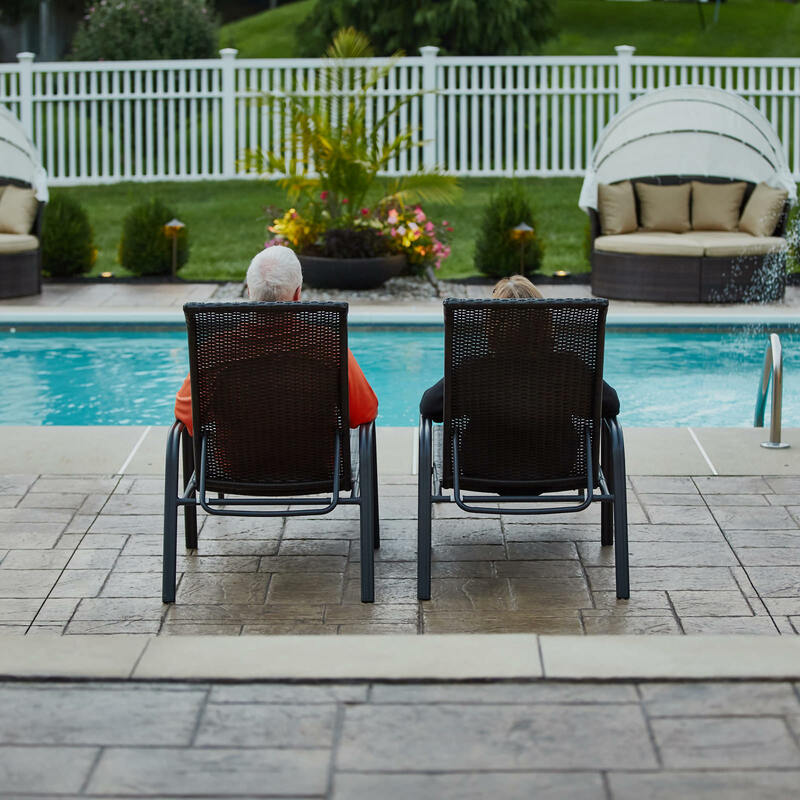 We want to make sure that you love your new outdoor living space, so when you are ready to open a conversation, we are ready to listen! We would love to welcome you into the MasterPLAN family.